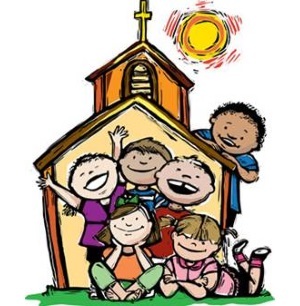 Children's liturgy is offered at the Sunday 9.30am Mass during the Sundays of the school term. The school age children celebrate the Liturgy of the Word appropriate to their age. The children leave the main part of the Church at the beginning of Mass. After hearing the Gospel of the day they share in various activities to reinforce the gospel message. The children return to Mass at the Preparation of the Gifts to celebrate the Eucharist with their families and the rest of the congregation.